When I think about gathering, I think about community. I think about the people you surround yourself with. I think about celebrating. So when Midwest Living emailed me a few years ago about working together on a gathering story, I knew exactly what the story would focus on. I wanted to show how a simple everyday practice of gathering can be beautiful, seasonal, and full of those that mean the most to you with little hassle for all involved. 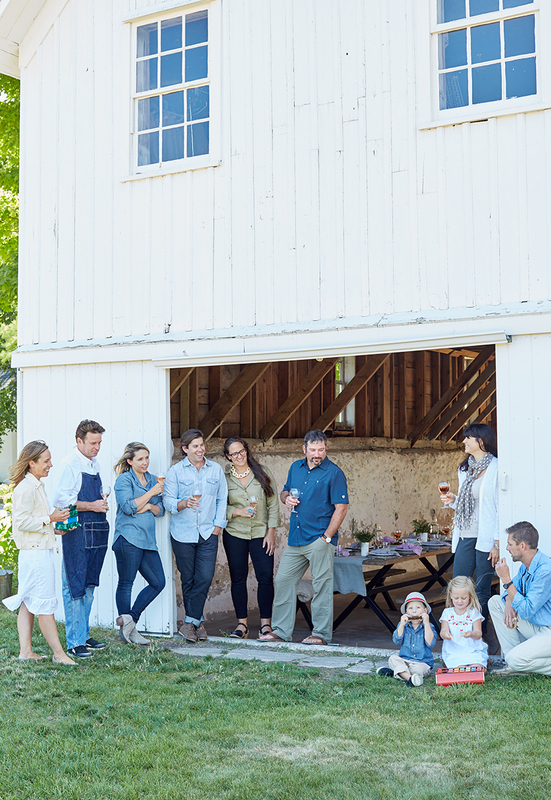 So, last spring, I got in touch with my friends from Epicure Catering and Cherry Basket Farm, and At Home Suttons Bay to plan the perfect laid back spring gathering that would grace the cover of the March/April issue of Midwest Living this year. Growing up, I dreamed of producing content for magazines. I would spend days in high school sketching layouts for magazine spreads, which ultimately led me to pursue design. I loved the glossy pages of magazines back in the day and I still do. Even with the readiness of online content, I have always found so much pleasure in enjoying printed visual inspiration. So, having the chance to produce a story I believed in with people who inspired me, was like a dream come true. It came at the right time too. It was 6 months after I had Hayes that we shot this story. It was a month before we headed back to Raleigh to pack up our home and move back to Michigan. If you are doing the math here, yes, we shot this in August, but that’s how it works in print world. When we shot this story I was feeling quite creatively lost and looking for my footing. This story brought life back to me while I planned it. It reminded me of what I was passionate about, and what brought me life. The day on set was the first day I spent away from Hayes and it was the beginning of coming back to myself. This was also when I began to realize how I planned for the blog to shift in the coming year. All of which makes this story extra special to me. Next week, I will share a full behind the scenes, but we had the pleasure of working that day with David Tsay to shoot the story. The shoot couldn’t have gone more smoothly. The weather was idyllic, and everything came out just as we had envisioned. The goal was to create a gathering that celebrated the season. 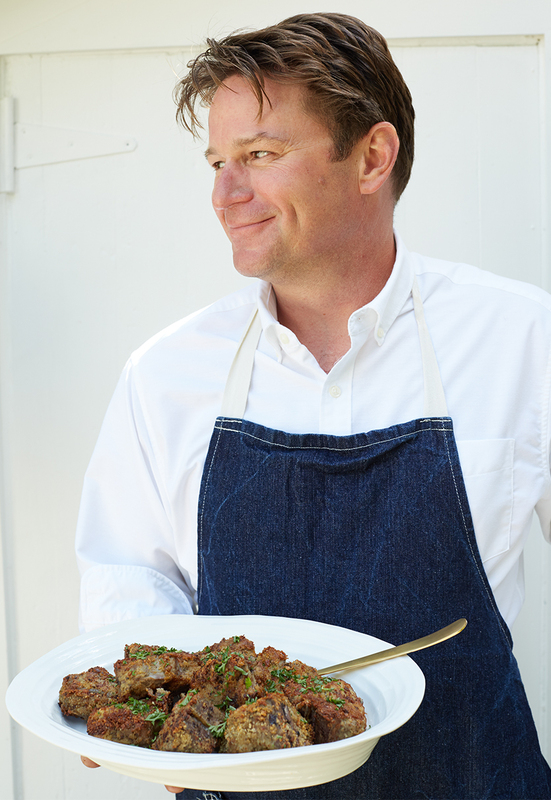 Chef Andy created recipes that captured the season. 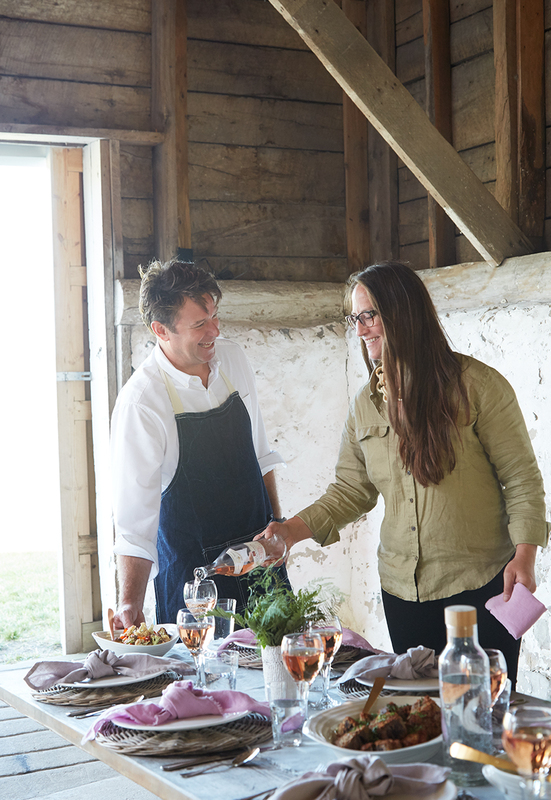 Cammie and I chose Rosé as the wine of choice not just because of the pale pink that a great French Rosé has but because it pairs perfectly with the spring flavors. 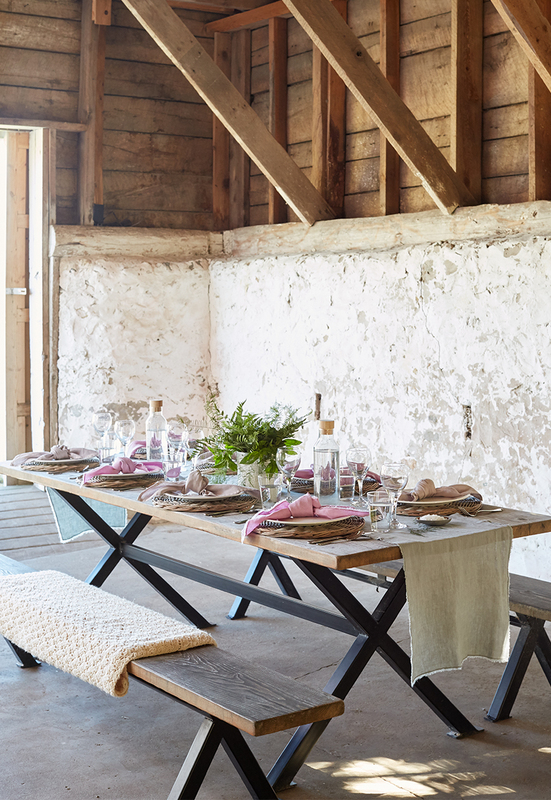 We opted to choose relaxed linens for the table that were not the typical bright colors of spring we are used to. All the decor came from At Home in Suttons Bay (if you are in the area stop in! Sarah and the store owners curates a beautiful store). 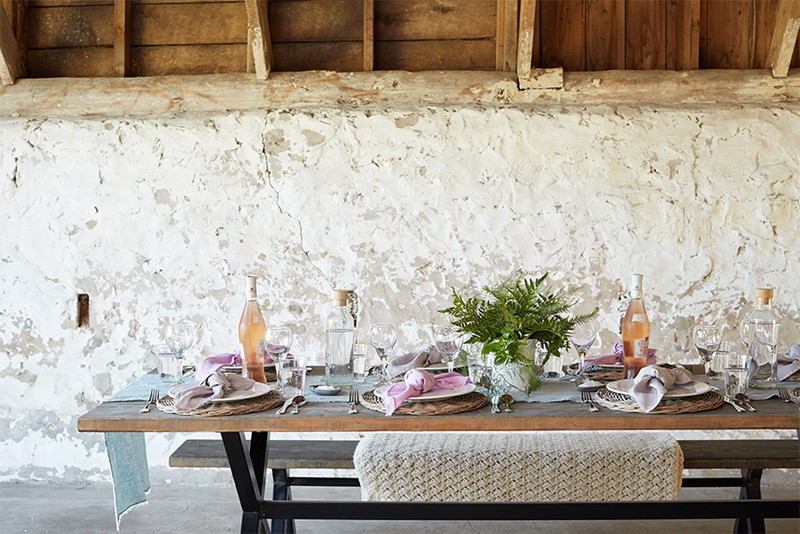 Our goal for the table was to create a setting that anyone could recreate in a similar way. Not everything has to match perfectly. In fact. 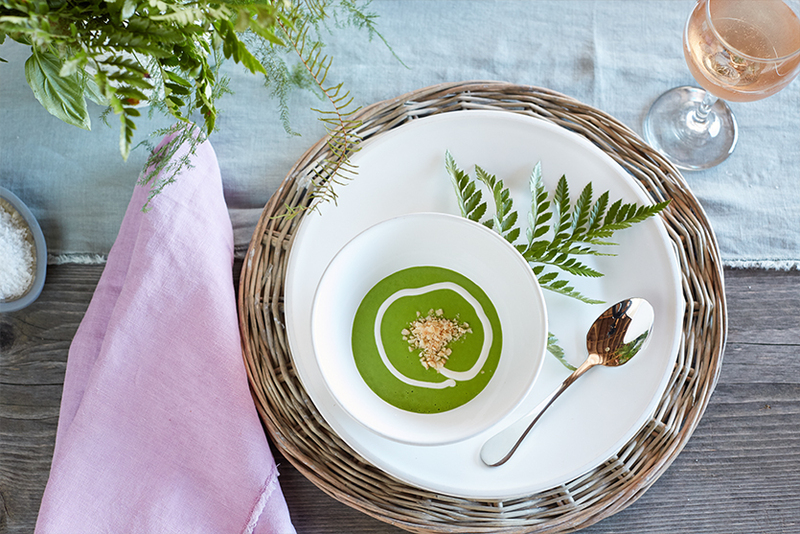 keeping to a simple and relaxed palette adds ease and simplicity to your table. We had different color lavender hued napkins on the table. It perfectly played off of the light blue table runner and wood, while offering the perfect accent to the bright colors of spring dishes. You don’t always have to buy napkins. You can go and buy some linen or chambray fabric at a fabric or craft store and cut them yourself. Wash them before cutting them and then leave them relaxed and loose. 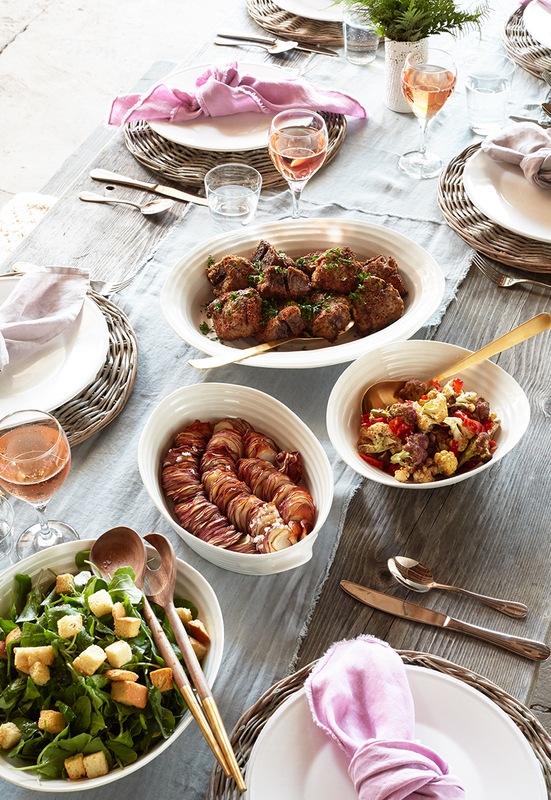 Always have white dishes on hand. They are simple and work for any season. 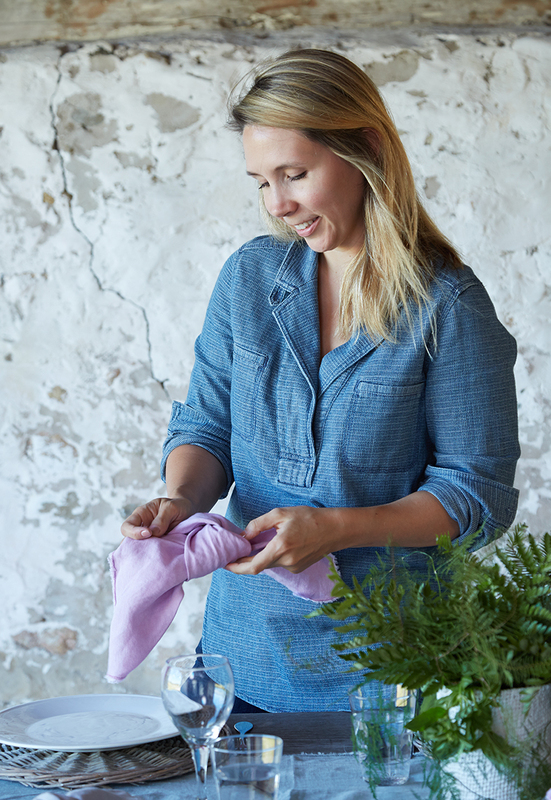 If you don’t know a fancy way to do your napkins, knot them! Late spring is full of buds and fresh greens. Instead of worrying about blooms, choose ferns and greens wildly growing outside your door to compliment the spring dishes. Always keep water in carafes so guests can hydrate between glasses of wine. In the spring you want to make sure to give your guests the chance the stay warm so set blankets for them. 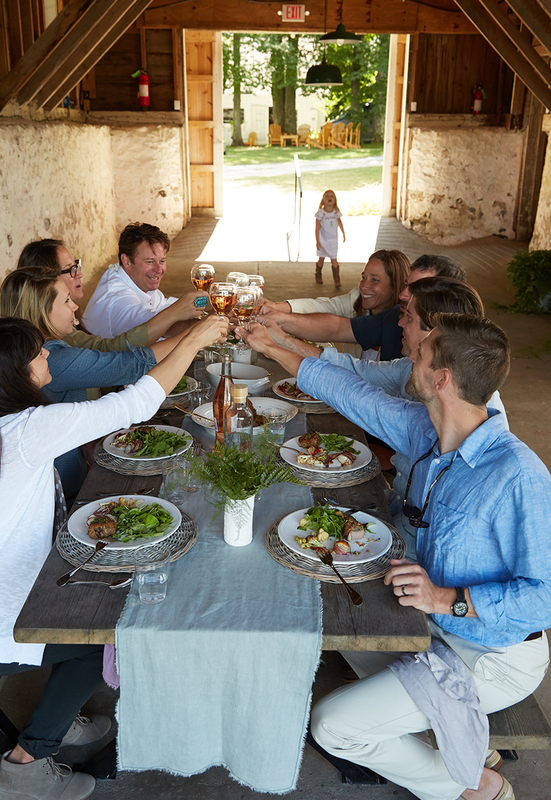 If you have kids at the table, opt for benches instead of chairs. It gives flexibility and ease in the gathering while they run and play and come over for some food. Just because it is spring doesn’t mean you need to go over the top on color. Limit your colors and always opt to let your food shine. Keep your group intimate. Better to have more dinner parties with fewer people than fewer parties with more people. You will have a better chance of connecting if you have 6-8 people gathered together. You can read more tips from this gathering here. Next week, I will be sharing a behind the scenes video and photos from our day producing this story for Midwest Living. 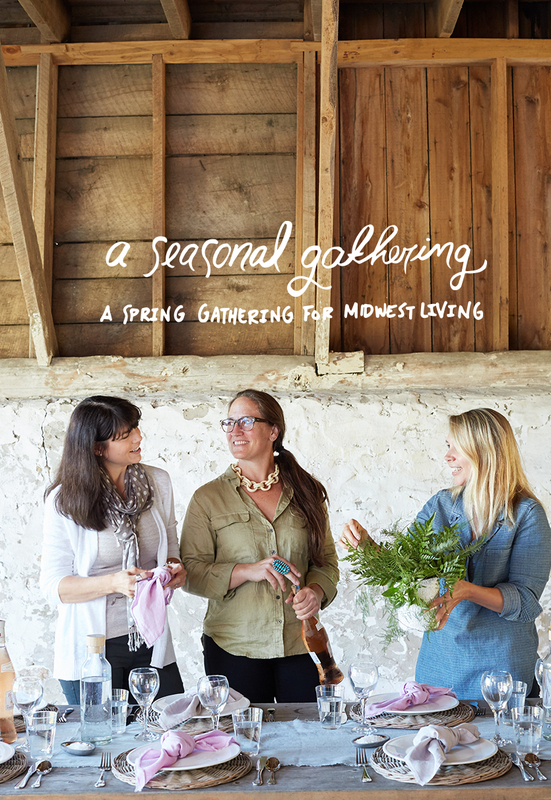 I am excited to share more behind the scenes of making gatherings come to life. We get a lot of questions about it, so it is always exciting to share. We have another Seasonal Gathering (our first big and intentional one with our new direction on the blog) coming up this summer. To give you a hint…it will involve fire, the word wild, and an island…if all goes as planned. Look for it at the end of July. Once again, you can find all the recipes and the full story on Midwest Living either online or in stores. 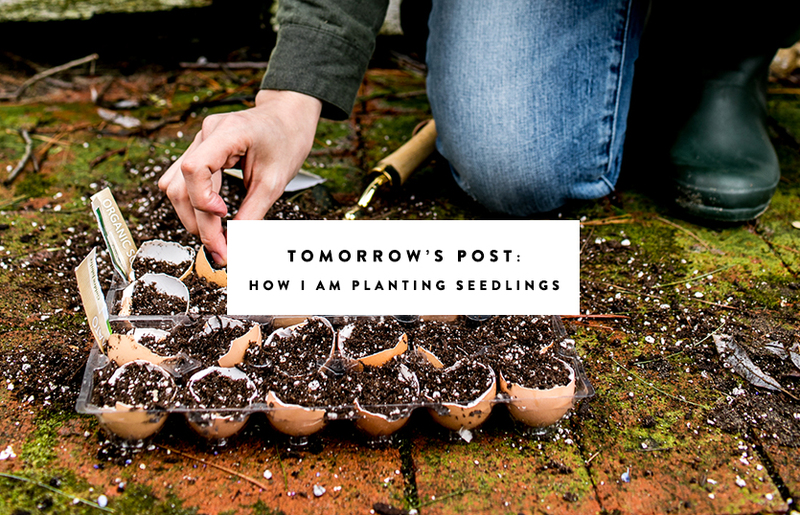 Tomorrow, we will be sharing how we planted our seeds this year. We used egg shells and I am so excited to see how it goes! The full DIY will be on the blog tomorrow. Makes sure you signed up for our email newsletter so you never miss an update or post. This looks like so much fun! I love that you all did this!